Now the entire world with creativity as a selling point in recent example of the most vulnerable people think of the 2008 Beijing Olympic Games is the nest, water cubic meters, Xiangyun torch. This is just one aspect of the various sectors are creative. All of a sudden thought of today’s innovative products and creative toys. Now in these small product design, creativity is a competitive advantage. Now both children and adults in the toy or toys, are more and more beautiful! More and more content, creativity also higher than the past. Now more and more innovative toys, perhaps the high-tech product. A few days ago to see an electronic product, it is recommended to share with you creative. 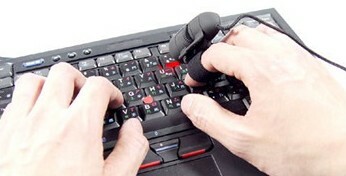 This is a mouse, but called USB mouse finger (finger mouse).